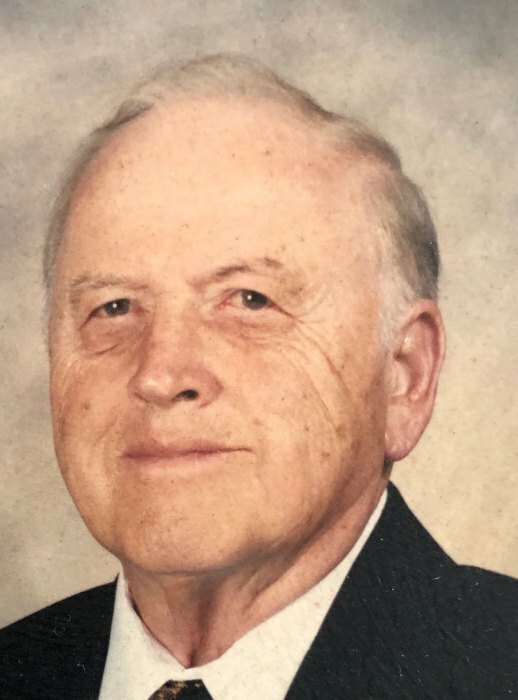 Roger P. Dufour, Sr., 95, of Somerset, husband of Anita E. (Thibault) Dufour, passed away Thursday, March 28, 2019. A graduate of Msgr. Prevost High School, Class of 1940, and an Army veteran of WWII, he became a piano tuner in the Fall River area and in 1950 purchased the former Cote Piano Co. changing the name to Dufour Piano Co. He later added electronic organs and had students in piano and organ along with other teachers working for him. He owned Dufour Piano Co. for 46 years, retiring in 1992. He originally learned piano from his uncle, playing with a small orchestras for social functions. He was a church organist for many parishes and social functions. The 1996 Franco American Man of the Year, he was the former President of the Richelieu Club and the Rotary Club, Vice President of the Fall River Chamber of Commerce, and a member of the Franco American Civic League and the Musicians Union Local 216. He also enjoyed volunteering to play piano at Charlton Memorial Hospital and Clifton Rehabilitation and Nursing Home. Besides his wife of 74 years, he is the father of three children, Anne Louise Attar and her husband Henry, Roger P. Dufour, and his wife Patricia and the late Claire Forszyk and her husband Steve; grandfather of nine grandchildren, Peter J. Attar, Katherine Attar, Marc Attar, Heather Dufour, Jacqueline Mello, Jan Forczyk, Nathan Forczyk and Jeremy Forczyk and the late Nicholas M. Forczyk; great-grandfather of 11; the brother of the late Paul A. Dufour, Yvette Proulx and Rev. Clement E. Dufour; uncle of several nieces and nephews and the son of the late Gedeon and Albertine (Cote) Dufour. The family would like to thank the staff at Fall River Jewish Home for their support and care. His funeral will be held Monday at 9:00 AM from the Auclair Funeral Home, 690 So. Main St., Fall River with a Funeral Mass at 10:00 AM at St. Joseph Church. Interment, Notre Dame Cemetery. Visitation, Sunday from 4:00 PM to 7:00 PM. In lieu of flowers, please consider a donation to a charity of your choice.